Zinc plated telescopic lever and rotary pump accessible in any direction. The length of the lever guarantees a moderate effort of pumping. The lever can be locked in the pump body. Extension spindle for longer travel. Bottle jack 10 Ton MEGA BR10 is equipped with an overload valve, which protects the equipment from premature failure. Thanks to the telescopic three-position handle, which is made of galvanized metal, the operator's efforts during operation are minimal. Pivot drive of the pump makes it possible to perform operations from any position, including horizontal. The model is compact in size and light in weight, which makes it easy to store and transport. 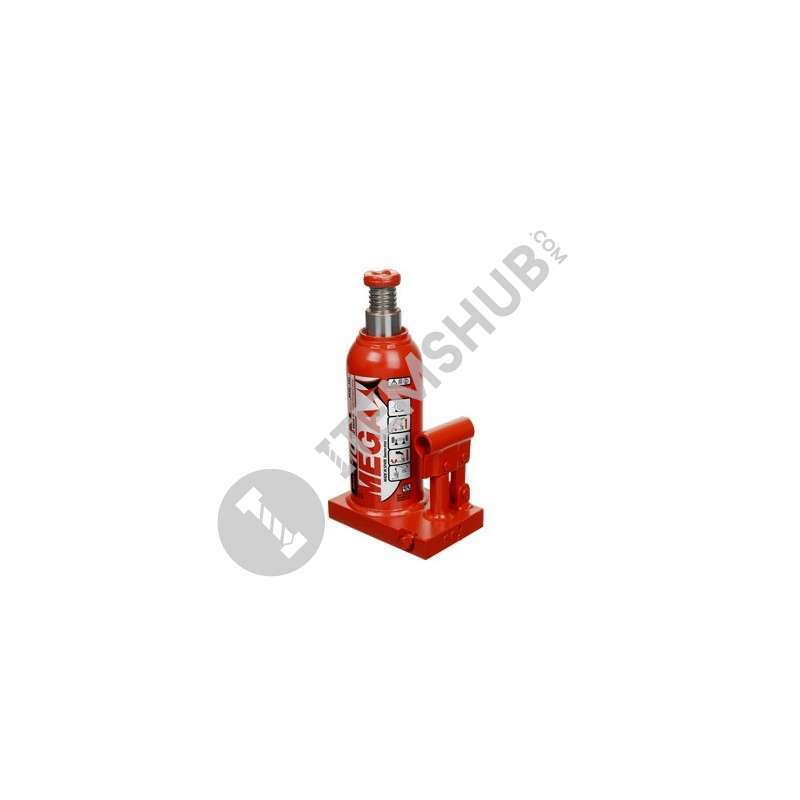 Summary Bottle jack 10 Ton MEGA BR10 is equipped with an overload valve, which protects the equipment from premature failure. Thanks to the telescopic three-position handle, which is made of galvanized metal,.. Mega BR40 the base, the cylinder and the tank form a compact block that provides greater robustness and safety. All pressure loads produced by the tilting of the vehicle axle are absorbed, since the p.. Telescopic three piece zinc plated pump handle.Rotatory pump socket. It can be operated from any position.Extension screw provides added lifting height. Quick and easy maintenance.Safety oil by-p..